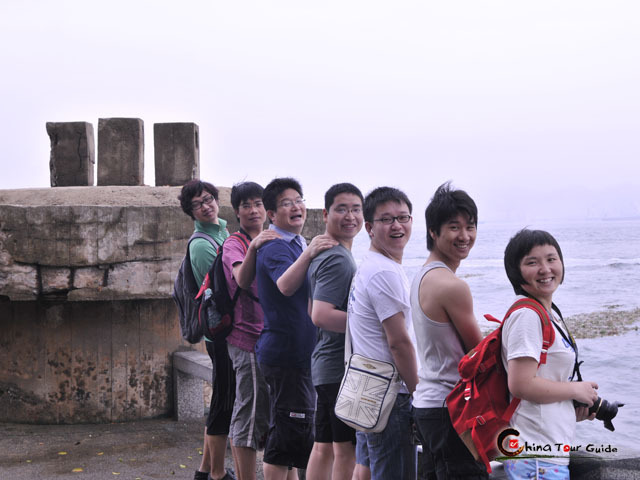 Tea Culture is a treasure of China, especially in South China places like Fujian and Guangdong. Making tea is not only for tea itself, or for its health benefits, but more in a pursuit of self-cultivation and soul satisfaction. The way of tea is to encourage people to return to nature, to pursue all that is pure and simple. It's a way of life. Kung Fu Tea (Gongfu Cha, literally "making tea with efforts") is a traditional tea preparation ceremony, which still preserved in Fujian and Guangdong. Now the ceremony can also be observed at Tea shops or Tea Fairs as performances. Making Kung Fu Tea is a way to maximize the taste and health benefits of a tea selection, especially a finer one. It requires more skills than normal ways of making tea. Full attention is paid to the whole process from tools choosing to tea selection, from water to temperature, and from the way of infusion to brewing. Most tea masters will use a good clean local source of spring water to make tea. If this natural spring water is not available, bottle spring water will suffice. As for temperature, different temperature is required for different types of tea in order to extract the essential oils of the tea. Usually for oolong tea is 95 degree centigrade and 100 for compressed teas (e.g. Puer Tea). Yet however complicated the process is, the core of Kung Fu Tea is the spiritual status. Rest your mind in peace, enjoy the aroma of tea and get closer to Nature. 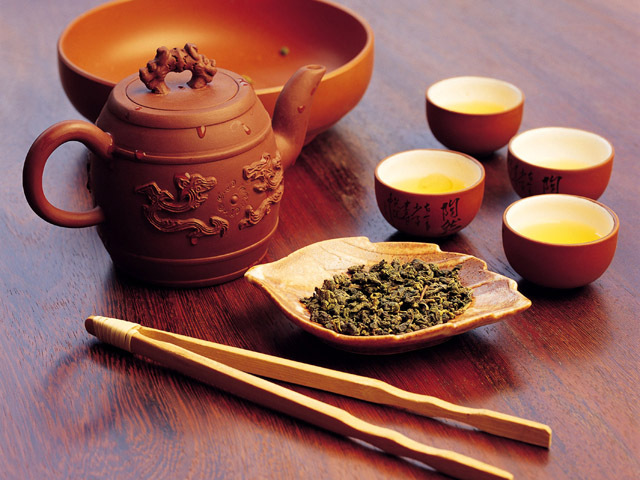 Many famous teas originate from Fujian, including Oolong, Wuyi Yancha, Anxi Tie Guan Yin and Fuzhou jasmine tea. 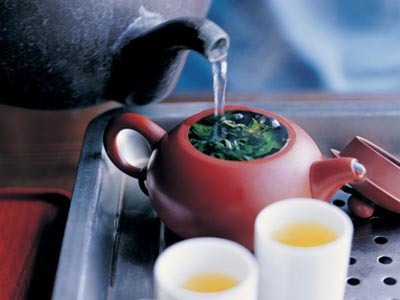 Fujian tea ceremony is an elaborate way of preparing and serving tea. In fact, the English word "tea" is borrowed from Minnan Dialect. Oolong Tea: a traditional Chinese tea produced through a unique process including withering under the strong sun and oxidation before curling and twisting. There are various sub-varieties of oolong tea, and their tastes differ from each other. Wuyi Yancha (Wuyi Rock Tea): a sub-variety of oolong tea. 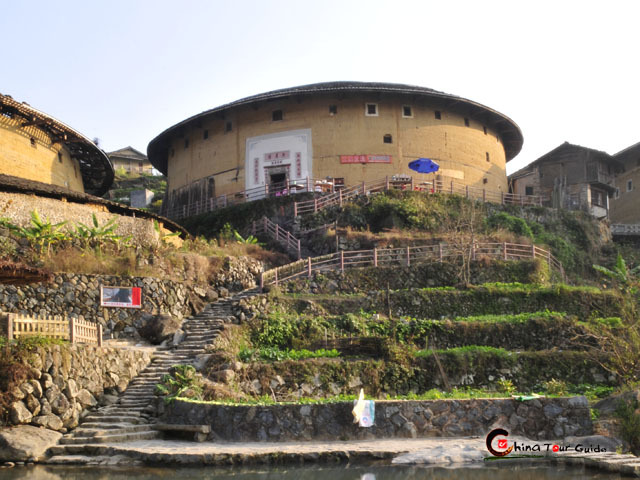 The famous Dahongpao (Red Robe Tea) is a kind of Wuyi Yancha. Tie Guan Yin (Iron Goddess of Mercy): a famous and popular oolong tea which is close to a green tea, with only a little oxidation. 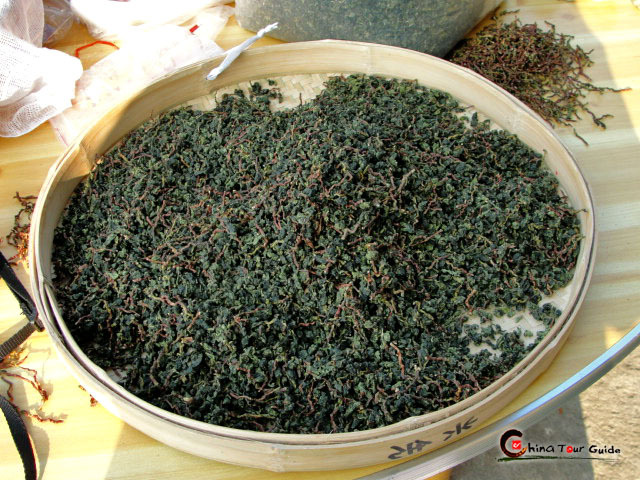 The best known Anxi Tie Guan Yin is from Anxi County in South Fujian. This type of oolong tea offers a very flowery and fresh delicate aroma, and the tea liquid is golden yellow.